Oasis MK1 vs Oasis MK2 (2015 Reunion), a contest of epic proportions! Since the split of Oasis back in 2009 the music industry has been missing something. 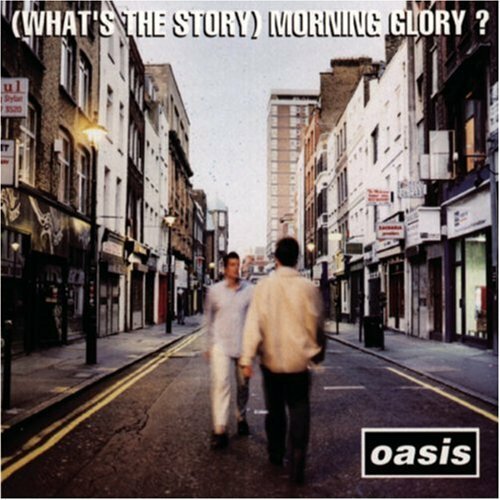 All Oasis fans know that if the band reformed for the 20th anniversary of “What’s The Story (Morning Glory)” then there would almost certainly be an argument for which line up Oasis should bring to the table. On one side we have the Oasis containing Noel, Liam, Gem Archer, Andy Bell and Chris Sharrock. This Oasis certainly had more flair. Noel and Gem started to alternate between lead guitar parts and Andy Bell began providing more complex bass lines as the band changed their sound in an attempt to recover from a mass change in personnel. This Oasis carried on selling out massive gigs at Wembley and the City Of Manchester Stadium, despite only containing 2 band members from original line up. Would this line up capture the true spirit of Oasis? As we all know the actual line up which recorded and performed “What’s The Story (Morning Glory)” consisted of Noel, Liam, Bonehead, Guigsy and Alan White. This Oasis was the Oasis which played the famous gigs at Knebworth and Maine road! This Oasis had a much simpler and true rock and roll sound. This Oasis was the first band since the Beatles which the nation truly took to their hearts. Everyone would sing along to the classics “Don’t look back in anger”, “Champagne Supernova” and “Wonderwall”. The 90’s truly were a golden era in British music folklore. If the miracle reunion is to happen in 2015 what line up would you like to see? Oasis MK1 or Oasis MK2? Liam seems up for the reunion but Noel doesn’t seem so sure. Lets hope they all come to their senses!